According to the Gothamist, there are quite a few counterfeit bills floating around New York these days. If you want to avoid the embarrassment (and financial suffering) that comes with having your money confiscated by the savvy clerk at Starbucks, it's probably a good idea to learn how to tell a fake bill from a real one. The Secret Service has a great website that can teach you to identify counterfeit money. 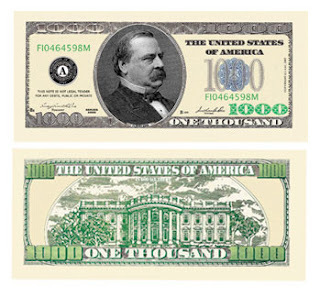 You can also check out these PDFS that show you how to examine $50 and $100 bills. thats interesting aren't they going to be upgrading soon too? i heard that printers are getting so good now that there thinking abput putting some kind of spray or something on money now.